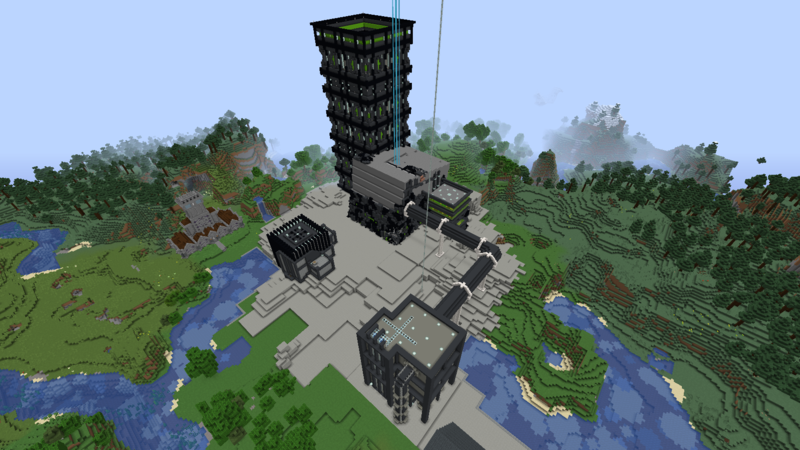 How much do you all terraform? I've done a lot of terra shaping in my world. Mostly because the lore surrounding my build is that an advanced race crashed on the planet and began building and expanding. In doing so, they killed off a quite a bit of the local flora and fauna. I'm still in the process so I've created a blank canvas so to speak so i can detail it out as I finish and add more buildings. See the before and after images. Almost looks like a cave even on the left. 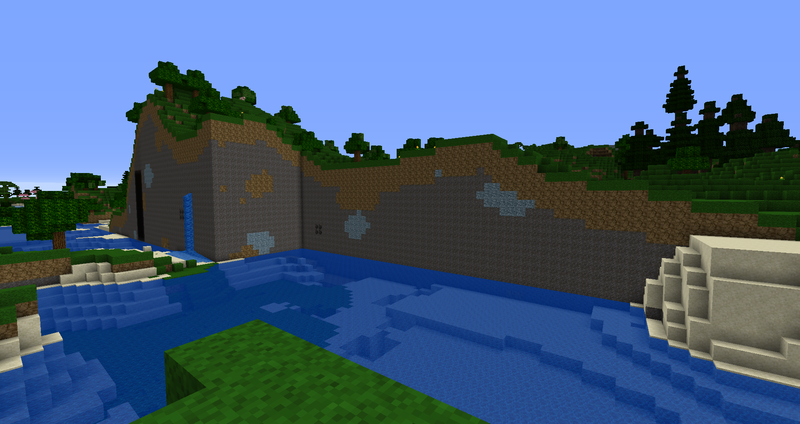 Otherwise Creeper Craters. Nice before /after, gives a great sense of scale and also how-Large the Build(s) is /are. Interesting almost grid-like Terrain squaring-off, of topography. what type of building blocks are you using? wool? terracotta? It's almost all concrete. The ground is concrete powder while the buildings are made out of concrete. I have a lossless concrete converter in my base that I use to convert a double chest of concrete at a time. The stone build on the left side of the picture is a squid farm so I have lots of ink sacs for all the black and grey concrete. I try to keep it to a minimum and i usually just do it to flatten out a to get a larger area on the same level. 1) The top of the hill. If i want to build a building on top of the hill but the building is larger than the actual top of the hill, i remove the top few layers of the hill so i end up with a 1-3 blocks lower hill, but has a larger flat surface for me to build the building. In this case i often meld the edges of the building with the hill edges. Meaning i extend the "support" of the building several blocks below the level of where the base of the building is. 2) Large area for a large town/city/kingdom. On my main world i needed a 100x101 flat area for a large kingdom since its much easier to plan out the infrastructure and buildings than just "wing it". In my case, its a snow plains biome. However i discovered that if i wanted the 100x101 area to be inside a single map (not zoomed out) i needed to go a bit inside the ice spike biome, which is also a bit hilly. So firstly i removed the ice spikes, i dug out all the snow blocks which helped lower the hills a bit, and then i smoothened the level across the area to a middle ground. The 100x101 area isnt completely flat, its more like a very wide long staircase with about 3-4 steps. I also removed any water ponds (except a single large one that im using for my park) and cave entrances with dirt inside the area (but i have nothing against the river going trough my city). If i didnt modify the terrain i would have a lot of hills and slopes all over the place which i would remove and modify one by one countless times each time i would build a building, a house, a shop, street lamps, a fountain ,or just placing down the streets. In the overworld i do very little modifications to the land. I try adapting my buildings to the land and finding an area that is mostly flat. I build mostly in forests so when i cut down trees, i have a lot of space for my builds. 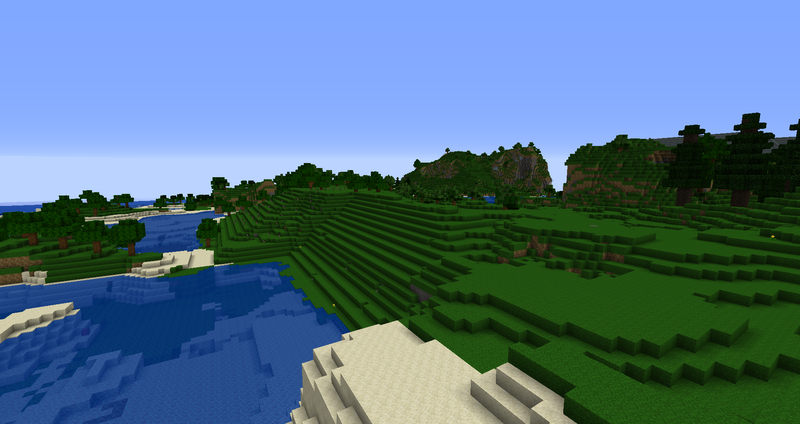 The nether is where i terraform the most. For some reason my portals always end up in small corridors so i always have to remove a bunch of nether blocks to make space for my nether fortress. Why didn't you make a generator? I used to dig tons of cobblestone until I made one. It saved me a lot of boredom. Some, but like Scorrp10, I mostly cut things into the land and adapt them around builds. I do when I have to or need to though. On my main world of 8 years I leveled a mountain back in Beta for a nice flat area for a swimming pool and (Then) single tennis court. The biggest one however in more recent times was altering the huge chunk wall by my fort that had been bothering me for years, leveling it as it was right on the ocean edge. I certainly do more than I used to, it's alot easier these days with efficiency tools and a beacon. There's also something very satisfying about leveling out and area and just going ham with said tools. I build huge cities and like to build on an ocean. There's nothing flatter or bigger. It requires a lot of mining to create ground, but easier than bulldozing an entire mountain. This is especially easy with an AFK cobble generator.